While going through different options of your Android phone, there is always been a chance that you could accidentally delete all of your important conversation, media files, images, videos, notes, apps, etc & you want them to be recover. With the advancement in technology, many ways have been created by following them, you can easily recover you delete files so in article, we will be discussing the way that how to recover deleted files on your Android phone without rooting. Remember that there are two process in which you can recover your phone data, either to use computer or go with apps that will help you in data recovery. We are going to discuss Android data recovery software method which will all of deleted files of you phone so lets get started. First thing is to download this software. You can get this software by following the given links. 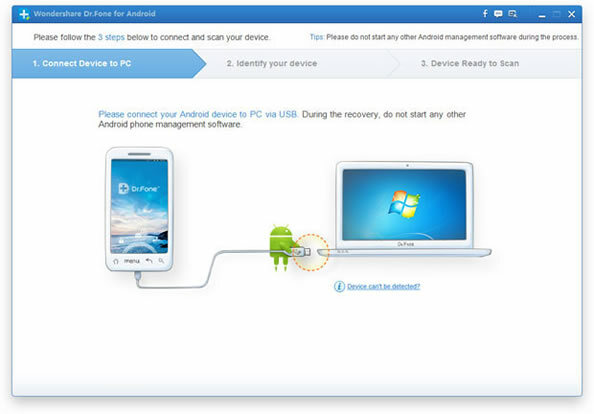 The next thing to do is to turn on USB Debugging option in your Android phone after connecting your phone to PC. 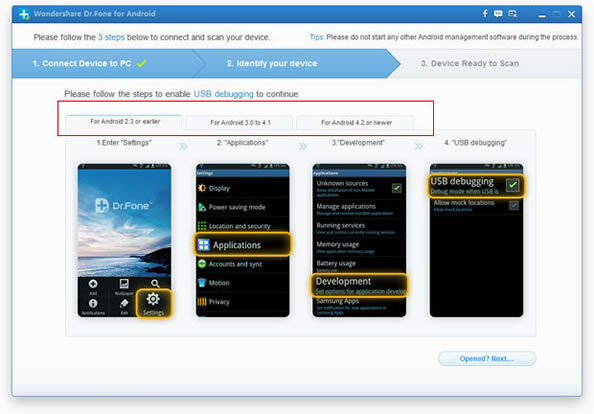 For Users having Android phone 4.2 or higher, Go to Setting >> About Phone >> Tap on build number for several time until you get the notification that you have now been switched to developer mode, >> Go back to Settings >> Developers Options >> USB Debugging. Now click on Start button in order to start recovering your deleted files. The software will start searching for deleted files & it might will take some time to recover them. 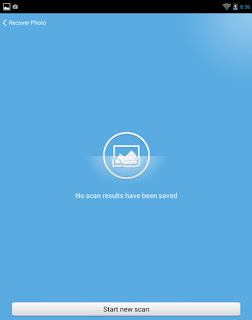 Once the scan has been finished, a list of all the deleted files will appear on the screen of Android Data Recovery Software. You will have to select the require files which you want to recover, like if you want to recover messages, then you will have to select messages option. Remember that the appeared messages will contain both deleted & current messages. The deleted messages will be marked as Red. All you have to do is to mark the deleted messages & click on Recover button in order to start recovering them. 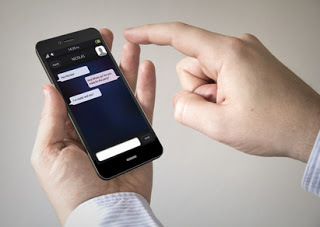 In this way,, you will be able to recover your deleted files on your Android phone without rooting & using computer connection. This method allow you to recover your deleted photos, images, videos, media files, notes, etc. 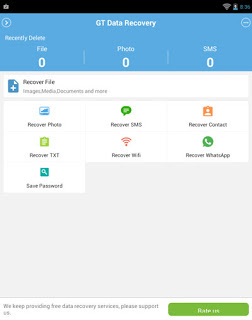 If you do not want to recover your deleted files using Computer connection, then the other alternate is to use Recovery app that will better help you to recover your files without rooting. The second method has also been elaborated below. Way to Recover deleted Files on Android Without Computer? The second method of data recovery does not require computer connection. It only need an app named as GT Data Recovery to be download from Play store. The first step is to install this app from Play store. After the installation, launch this app. You will see that it will ask you about various options that which files/media you want to recover. You can select messages, photos, videos, notes, etc. Once you have selected the format, a new window will be open. 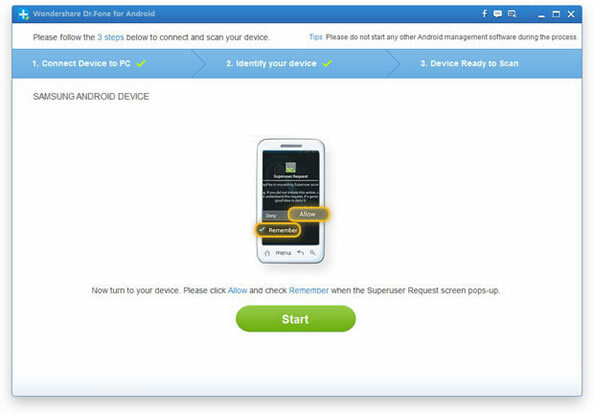 You will now require to click Start Scan in order to process the recovery of your data without rooting. The data recovery process might take some time you will have to be patience. Once, that process has been finished, you will have a big list of all the deleted files of that format. You will manually have to select those which are required. In this way, you will be able to recover your deleted files. How to recover deleted files on Android? How to lock whatsapp in Iphone 7 with jailbreak?